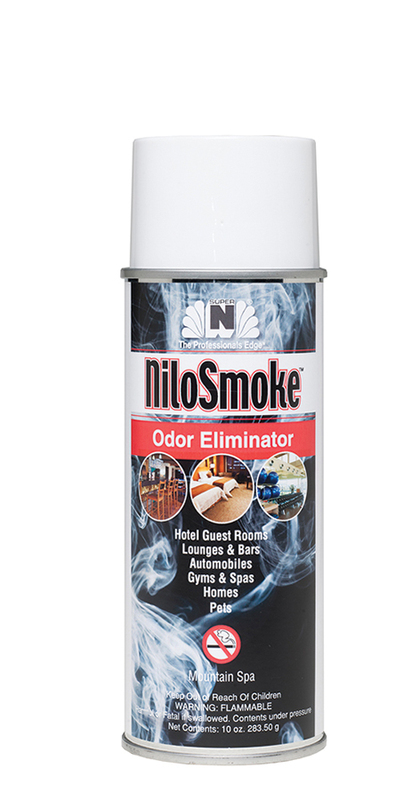 Nilosmoke™ contains a fast acting odor eliminator which quickly neutralizes odors caused by cigarette, cigar, food, pets and body odors in the air. NiloSmoke™ also contains a fresh, light fabric scent to help restore freshness in any room. SHIPPED VIA GROUND ONLY. DOMESTIC SHIPPING ONLY!